The floor plans of The Magnolia catalog order home. Over 100,000 catalog homes were said to have been built in the US from about 1902-1942. Furniture, glassware, paintings, ceramics, toys, everything inside your home can and is collectible. But the house itself? Turns out “home sweet home” has a collectible meaning too. 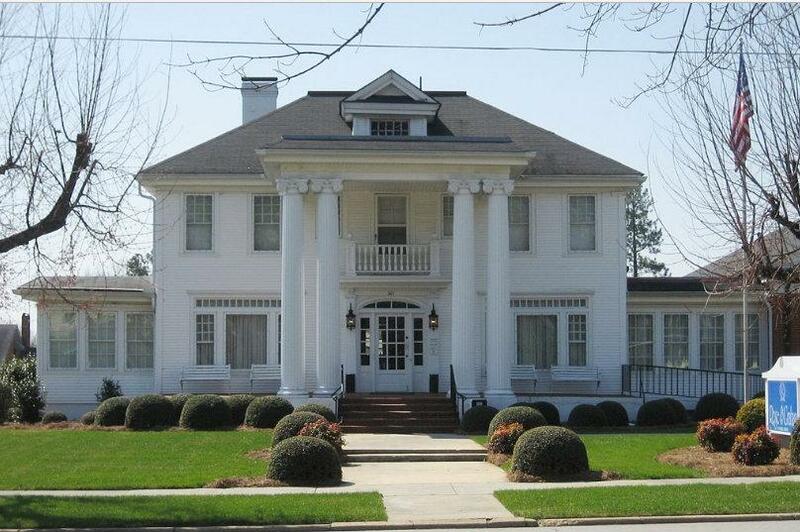 Known as “a kit house,” a mail order home, or a “catalog house,” it is an actual house, at least 1000 sq. ft., constructed onsite using plans and materials bought through a catalog, not from a builder. Once ordered, all of the interlocking pieces (about two railway boxcars worth) were shipped by train to the nearest railway siding where the homeowner then had it trucked to the home site and had it constructed piece by piece by number (by you or a contractor) from plans. Think Ikea writ large. A Montgomery Ward catalog for the mail order homes. Most of us know them as a Sears house, the most popular kit catalog company out of at least a dozen different catalogs selling a mail order home, including Montgomery Ward. Curiously, this approach to homebuilding was only offered in Canada and the United States from 1902 to about 1942. Over 100,000 catalog homes were said to have been built in the US during this period, according to Wikipedia, with Sears Roebuck & Co. responsible for about 70% of that with nearly 500 different home designs. Frank Kushel, the Sears lumber division manager, saw an opportunity to pre-cut excess lumber and sell it as a kit to create an entire house sold exclusively through the catalog. “This is a permanent house and the method of its construction is no different from any other frame house where the lumber is framed…by hand by carpenters,” he told a Senate committee in 1919. This is not a “manufactured” or modular home. A completed Magnolia catalog home. 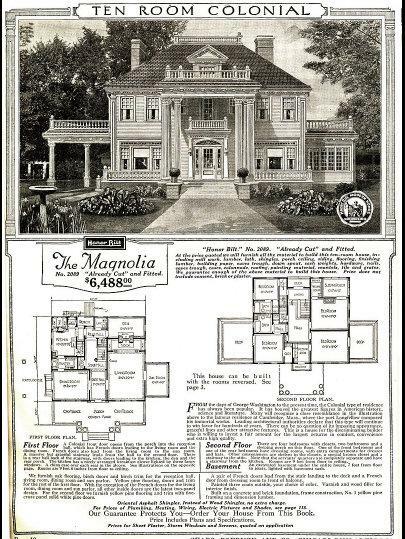 The Magnolia was an example of the higher end of a catalog home offered by Sears, Roebuck & Co. The house was built using pre-cut studs instead of timber (called balloon-framing, an innovation then) making it easier and faster to construct using one carpenter instead of several. You can even build it as your own DIY project. There is even a choice of models from small cottages to 4 bedroom homes, even a duplex. The catalog house was also very popular because of the easy financing from the catalog company itself like Sears and Montgomery Ward rather than financing through a bank (Sears actually forgave $11 million worth of loans during the Depression instead of foreclosing). So, how would you identify a catalog home? First, the home must have been constructed no earlier than 1902 (1908 for Sears) and no later than 1942. Anything earlier or later is definitely not considered a classic catalog home. Here are the original stamped instruction numbers for a Magnolia home. Do a visual inspection. 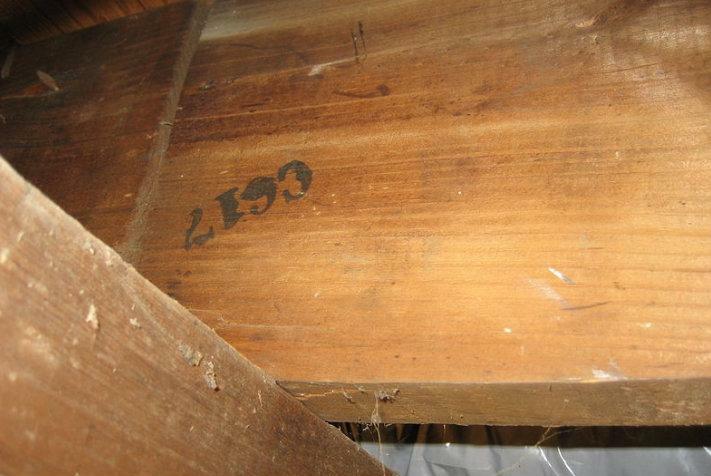 Check in the attic, basement and under floor and ceiling moldings to see if you can locate item numbers and letters stamped in the wooden parts themselves. While not definitive, it’s a good place to start. You might also find the paper shipping invoice of a catalog home. Then check the deeds and floor plans filed at the local courthouse. They just might indicate where the construction materials originated. Your local historical society might have records for your particular neighborhood for similarly constructed homes of the same period. Lastly, at least visit the Sears Homes website to see if yours is one of their most recognizable and long lasting catalog home models. Unfortunately, since most of the catalog homes may have been customized, finding out if you have a particular catalog home model is difficult (Sears no longer has a complete record). For most of the other catalog companies offering catalog homes, complete records may not be extant (The Aladdin Company archives were donated to Clark Historical Library in Michigan, for example, but may not be complete). Once a catalog home has been positively identified, is there a premium as a collectible? Seems to be. Aside from the historical value that a catalog home automatically has, it seems the high quality of the materials and craftsmanship that went into assembling a catalog home is a sales plus to buyers. Betsy Little, broker-owner of Betsy Little Real Estate, Norfolk, Conn., says construction quality was a key factor for the buyers of a 1938 Sears home she sold in May. “They liked that it was made of good materials and had a reputation for quality construction.” (from National Association of Realtors Realtor Mag, April 12, 2017). The extra premium in value is a sure sign of a good collectible. 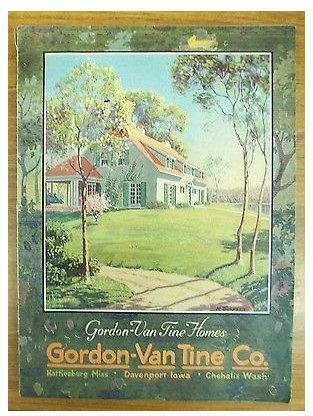 Another catalog for the mail order home: Gordon-Van Tine. If you aren’t lucky enough to have a catalog home yourself, you can always collect the catalogs that the homes were advertised in such as Sears, Montgomery Ward and others. A Modern Homes Sears catalog from 1919 in good condition sold for $150 while a later 1938 edition sold for $43. 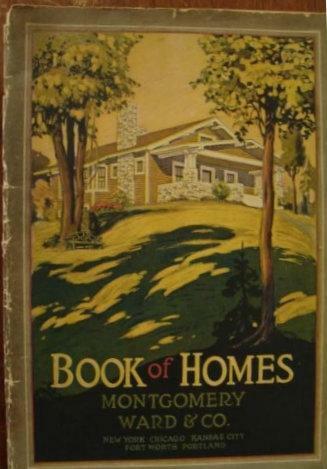 Others such as Montgomery Ward’s ‘Book of Homes’ of 1916 brought about $21 while a similar vintage from Aladdin Homes brought $16 which seems to be the range for most catalogs devoted to catalog homes. Catalog homes were affordable for families of the early 20th century with costs from $1000 to $4500 for the larger models (maybe $15,000 to $65,000 today). The cost of the land, foundation, electrical, plumbing, heating and (later) HVAC were extra. Overall, though, the cost was about 40% less than having your home custom built from scratch since it was all pre-cut and assembled into a kit. Today, there are catalog homes in Washington, DC, for example, that are assessed in the $1 million to $2 million range, not unlike the values for newer homes. Imagine, a home assembled from a kit. It was the ultimate DIY project that is now a collectible in its own right. Living in history isn’t just for the famous anymore.